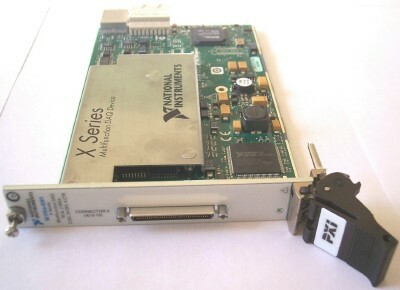 The XPRS-cPCIe connects with one of our XRPS-HOST-.. cards, and allows using of a Compact PCI Express (cPCIe), or a PXI Express (PXIe) peripheral card outside of a computer system. The image shows XPRS-cPCIe product, and one PXI Express peripheral card. 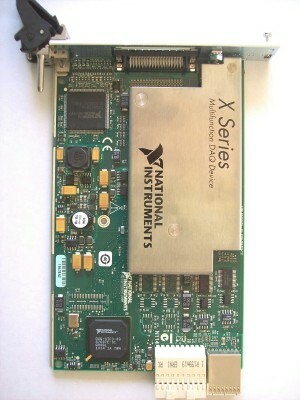 Mount the XPRS-cPCIe on the 2 connectors of the cPCIe or PXIe card. 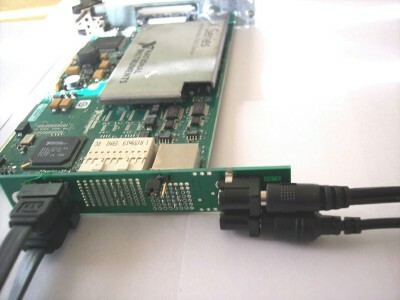 There are 2 ways to connect the 2 cables to the connectors on XPRS-cPCIe. If the onboard LED is not lit, the LED is not on, the cables are connected in the wrong way. The image above shows the right way - the onboard LED is lit, the LED is on. The cPCIe / PXIe interface requires either 3.3V only, or 3.3V and 12V to be supplied for the cPCIe / PXIe card. 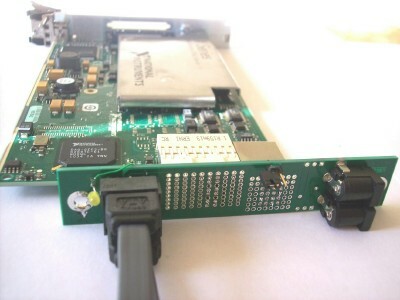 The image above shows both 3.3V and 12V power supplied to XPRS-cPCIe for the cPCIe / PXIe card. 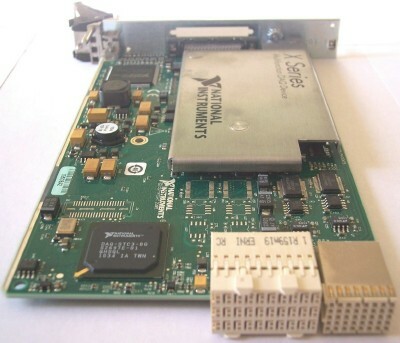 Normally cPCIe / PXIe cards are used on a special chassis, however together with XPRS-cPCIe can be used on standard desktop and notebook systems. 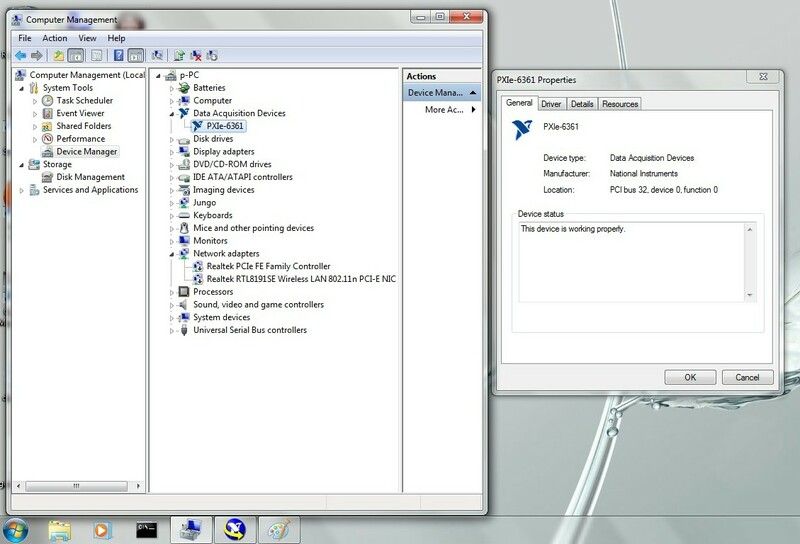 When the host system is a notebook, and the operating system supports ExpressCard slots, you can dynamically insert/remove cPCIe / PXIe card together with XPRS-cPCIe. 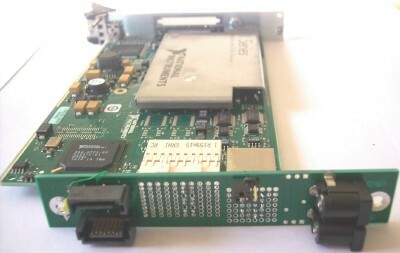 The specific peripheral card used in this article is a PXIe DAQ card from National Instruments. 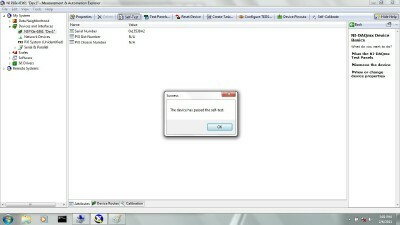 This card is handled in the 'Measurement & Automation explorer' software - listed under used 'Devices and Interfaces'. 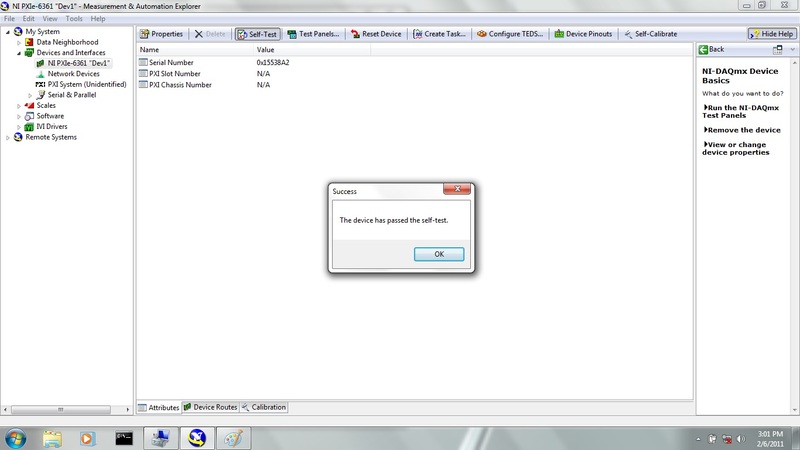 The self test for the card passes successfully.